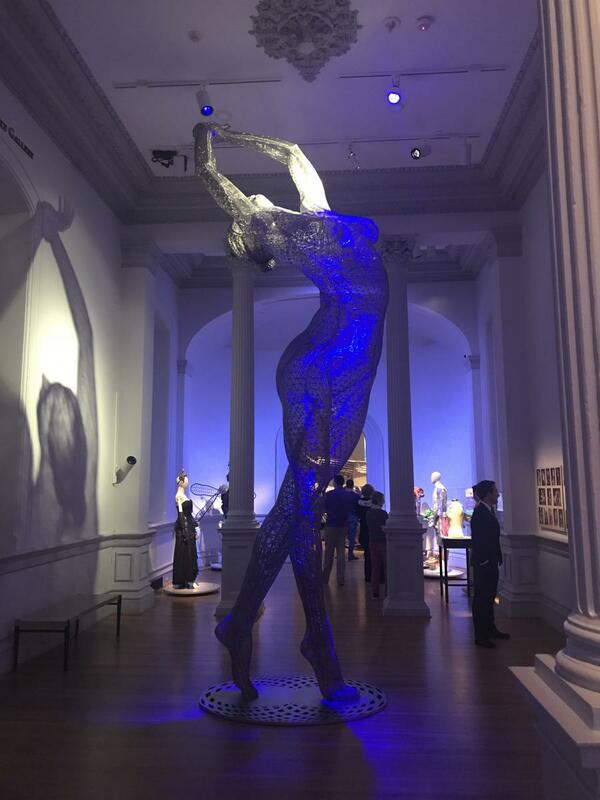 On April 24, Chevy Chase Trust hosted its annual Cocktail Party and Reception at the Renwick Gallery’s exhibition “No Spectators: The Art of Burning Man,” based on the maker culture art of the annual festival in Nevada’s Black Rock playa. The Burning Man festival attracts more than 75,000 people each year for a unique celebration of art and music in a temporary man-made city. Special guest speaker and Lloyd Herman Curator of Craft at the Renwick, Nora Atkinson, introduced the enigmatic exhibition and how she was able to bring it to Washington D.C. “I started off by suggesting it would be just one room and a few pieces of jewelry,” said Atkinson. But eventually, her idea grew into a much larger collection of cutting-edge artwork that takes over the entire building and spills out into the surrounding neighborhood. All 14 installations were either shown at the annual Burning Man festival or were commissioned from Burning Man artists. Guests at the special event enjoyed interactive installations such as the colorful Shrumen Lumen, large-scale sculptures that respond to human interaction; a 12 seater art deco movie theatre on the back of a red bus; a virtual reality experience; and the transformation of the Grand Salon into a temple of ornately carved wood. “We appreciated the opportunity to spend an evening with clients and friends of Chevy Chase Trust away from the office and surrounded by the artwork of this exciting exhibition,” said Stacy Murchison, Chief Marketing Officer.